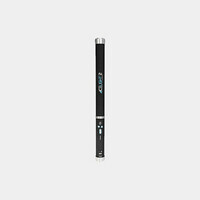 Product In Cart - Check out ? A cage for the Canon C100/C300 Mk II that leaves all controls and ports free for use. 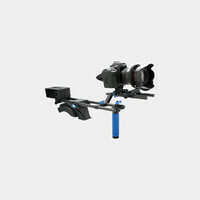 A bundled kit designed to turn DSLR hybrid cameras into a video rig. 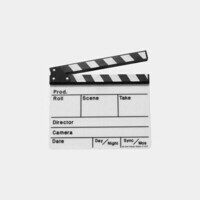 A comprehensive package for converting video DSLRs to useful cinema production tools. 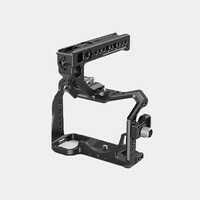 A cage for the Canon C100 that leaves all controls and ports free for use. Compatible with original C100, not the C100 Mk II. 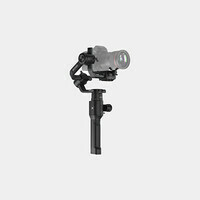 A kit designed to turn your camera into a shoulder-mounted video rig. 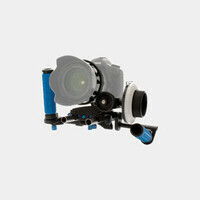 This model features counter-balance weights & follow focus system. 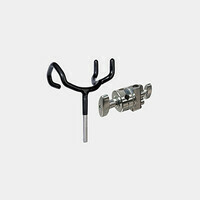 An optional accessory for use with the Cinema Camera in situations where handheld shooting is required. 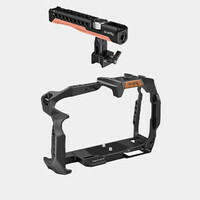 A wrap-around cage for the Blackmagic Cinema Camera, provides mounting holes on the sides and top and features support for 15mm rods. A versatile solution for shooting handheld DSLR video. One top handle and two side handles attach to the camera's shoe mount. 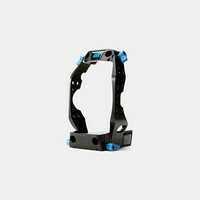 A support cage designed specifically for the Canon C300, provides mounting holes on the sides and top and features support for 15mm rods. 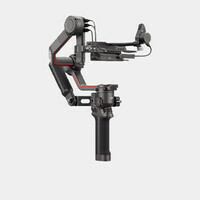 A hand-held rig that fits around the shape of the Canon C100 Mk II and leaves all controls and ports free for use. 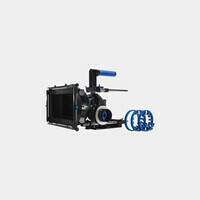 A 4 x 4 matte box that fits lenses with a maximum front outer diameter of 100mm. Baseplate is not included. 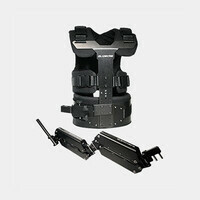 A lightweight rigid support system which lets you shoot in cushioned comfort for long periods of time. A lightweight, hand-held camcorder stabilizing system. 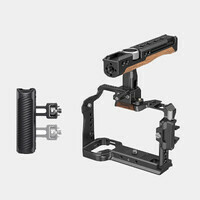 This system offers fine adjustments and an improved gimbal and balance system. 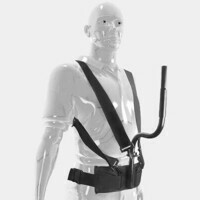 This vest will allow you to walk, run, go up & down stairs, shoot from moving vehicles and travel over uneven terrain without camera shake. A lightweight hand-held camcorder stabilizing system. 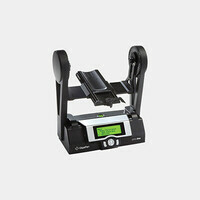 An upgrade from the 2000 Pro it offers fine adjustments and improved balance system. 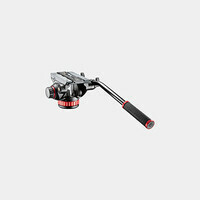 An advanced handheld 3-axis digital stabilized camera gimbal that redefines the possibilities for camera movement. 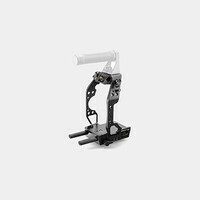 A wireless thumb controller for the DJI Ronin-M. Point the camera in any direction and save preset settings for fast, easy operation. 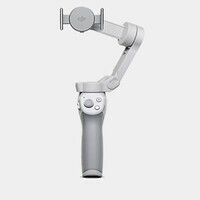 A single handle, three-axis motorized gimbal stabilizer with an eight pound payload capacity. 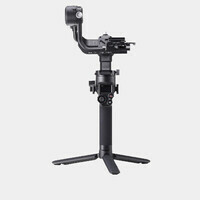 A handheld gimbal stabilizer suited for compact video cameras, mirrorless cameras, and DSLRs. Supports up to 8 pounds. 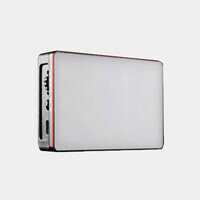 An electronic view finder with a TFT LCD display that offers a resolution of 800 x 480 and 16.7M color. An optical viewfinder designed for video DSLR cameras, it turns your camera's LCD screen into a clear, easy-to-focus viewfinder. 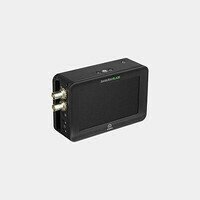 The 7" Ikan D7 3G-SDI/HDMI monitor provides a resolution of 1280 x 800 pixels and features loop-through outputs. Includes LP-E6 battery. 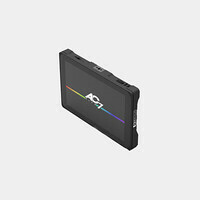 A compact field monitor featuring Focus Assist Plus, False Color, and DSLR Scale Mode. It can be powered by two LP-E6 batteries (included). 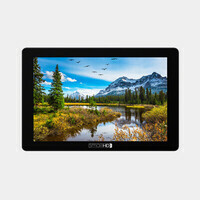 A 7.7-inch monitor with a 1280x800 resolution featuring OLED Display Technology. It can be powered by two LP-E6 batteries (included). 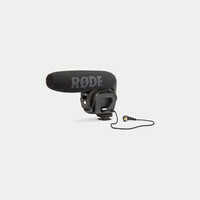 This microphone packs the audio quality and features of the popular VideoMic into an ultra compact and lightweight design. 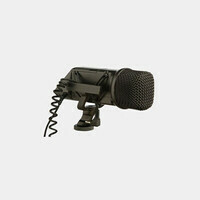 A condenser shotgun microphone designed for professional audio capturing in the field or indoors. Powered by +48V phanton. 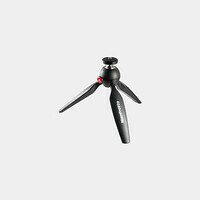 Ultra lightweight, compact form factor on-camera microphone. 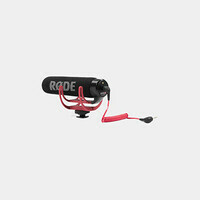 A small microphone which adds high-quality audio recording to a small camcorder or HDSLR. Camera must supply plug-in power on 3.5mm jack. 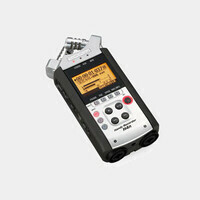 True stereo X/Y recording in a compact, camera mountable microphone. 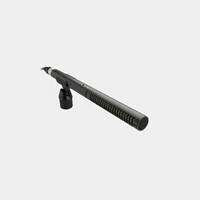 A condenser shotgun microphone designed for professional audio capturing in the field or indoors. Powered by a AA battery or +48V phanton. 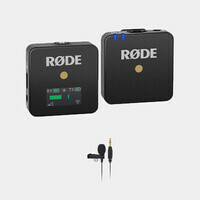 Ideal for recording interviews, lectures, rehearsals, meetings, and more, this palm-sized unit has the ability to record up to 4 channels. 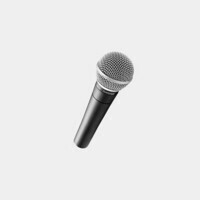 A reliable and dependable dynamic-cardioid microphone. 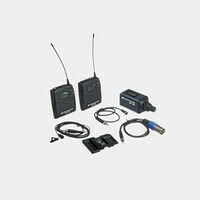 A microphone system which includes a dual wireless receiver; bodypack transmitter; lavalier and handheld microphone. 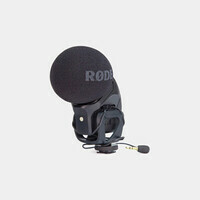 A compact camera-mount condenser that provides detailed, high-definition audio with DSLR cameras and camcorders. 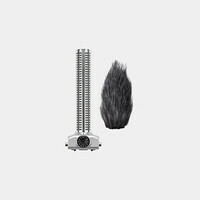 An omnidirectional, subminiature, lavalier condenser microphone designed for use in TV broadcasting, theater, and other applications. A compact shotgun microphone for handheld consumer video cameras and larger video cameras alike. 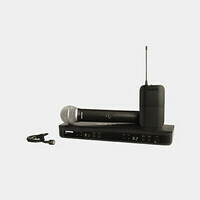 A wireless microphone system that features 1680 tunable frequencies and 12 frequency presets. 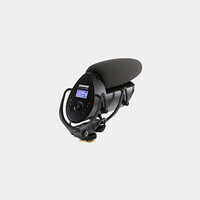 An instrument microphone suitable for low-frequency instrument pickup such as bass drums, bass guitar cabinets, tuba, etc. 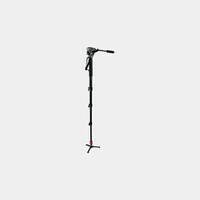 A lightweight boompole solution for ENG, EFP and other field recording applications. An adapter designed to enhance audio quality with virtually any HDSLR camera featuring high quality XLR inputs, AGC disabling and more. 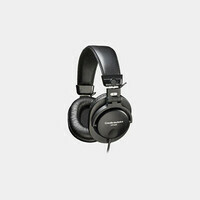 These stereo monitor headphones from Audio-Technica are an ideal companion in a recording or mixing studio, or out in the field. 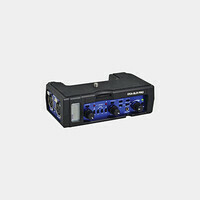 This mixer features 3 balanced XLR female inputs with switchable phantom power. 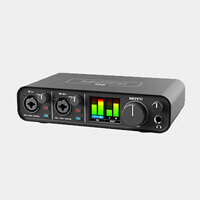 Output section features 2 balanced XLR connectors. 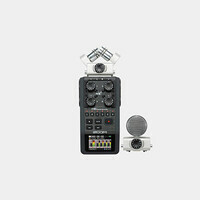 An interface designed to give the Panasonic GH5 camera expanded audio capabilities. 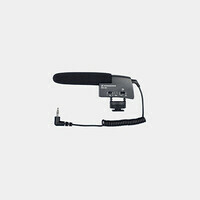 A shotgun microphone solution for use with your H6 handheld recorder. 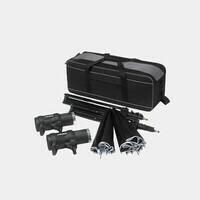 A kit to mount a boompole onto a light stand. An LED kit featuring two Astra 6X Bi-Color LED Panels and a bracket for Anton Bauer Gold-Mount Batteries (batteries not included). An LED panel that provides a wide source of soft, color accurate, full spectrum Daylight and Tungsten lighting. This hotshoe-mounted light will work for on-camera applications with small cameras, offering a small size and an adjustable head. An on camera daylight balanced light featuring 72 LED lights that encircle the lens and offer a direct, soft, adjustable light. 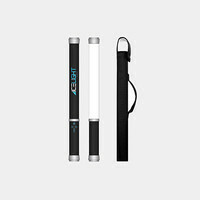 An LED Kit featuring a lightweight design and a handle on the side for precision adjustment. Includes 3 batteries. 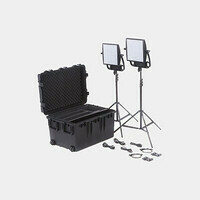 The Westcott Flex 1×1 Bi-Color LED Mat Cine travel kit is an ultra-portable, continuous LED light source. A dimmable, 5,500K LED source which is virtually heat-free and produces a soft, even light. A dimmable, 5,200-5,400K LED source which is virtually heat-free and produces a soft, even light. 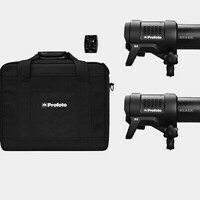 A lightweight 3-light kit which is cool-running and use very little power. A 3-way remote is included to control each light separately. 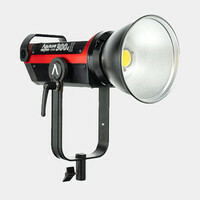 A 3-light kit which is cool-running and provides a complete LED lighting solution. 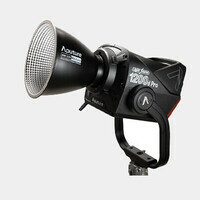 A compact and powerful LED light with variable color temperature (3200-5600K) for shooting indoors and out. 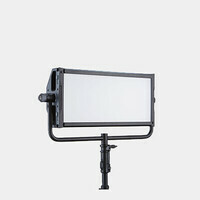 A 1' x 1' cool-running, dimmable LED light with integrated Barn Doors and variable color temperature (3,200 - 5,600K). 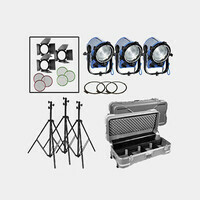 A 3-light kit which is cool-running, complete LED lighting solution providing selectable color temperature (3,200-5,600K). 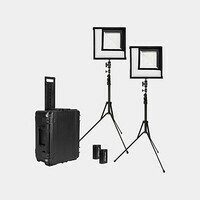 A 2-light bi-color LED kit ideal for the road or the studio, comes with pre-installed Anton Bauer battery plates (batteries NOT included). A variable temperature 3-piece light kit. 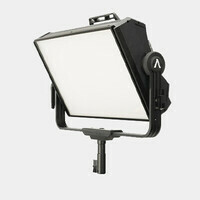 It is the perfect solution for Tungsten to Daylight scenes. 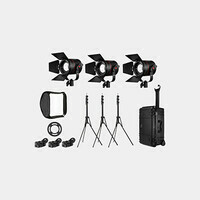 A portable and powerful constant lighting kit. Each light produces 1000 Watts. 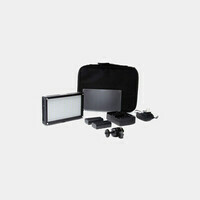 It includes three lights with stands and carrying case. 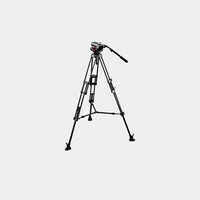 This heavy-duty tripod is built to handle very heavy loads, and is ideal for supporting camera jib arms. Maximum load capacity is 110 lb. 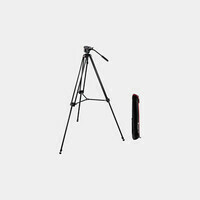 A small tabletop tripod for a small DSLR, point and shoot, or compact camcorder. 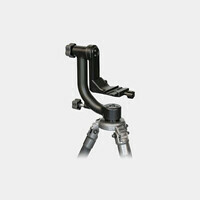 The Manfrotto 502HD Pro Video Head features a flat base and a 3/8"-16 connection. 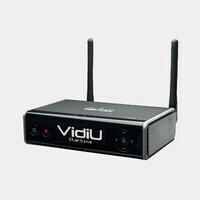 It is an upgrade to the popular 501HDV. An ideal combination of stability and smooth, precise control. 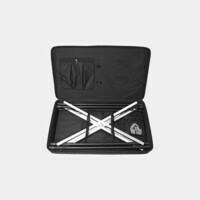 This compact system has an overall load capacity of 19 lbs. 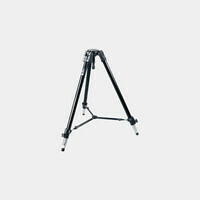 A lightweight tripod system for cameras up to 11lbs. 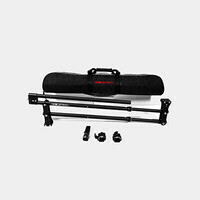 This system offers the MVT502AM tripod, soft case and MVH500A fluid head. 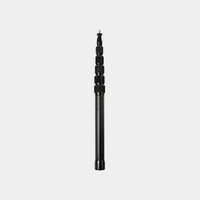 This monopod and head were designed specifically for light prosumer and professional compact HD camcorders. A system for creating spherical panoramic photos (up to 360°) optimized for use with a fisheye lens. Camera & lens are not included. 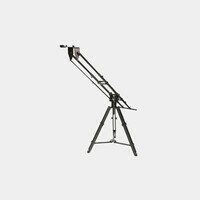 A 36" motorized parabolic slider that lets you add cinematic motion to your video without needing a dedicated operator. 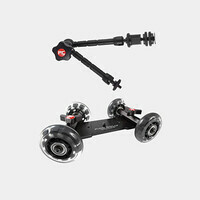 A folding dolly compatible with all standard tripods. 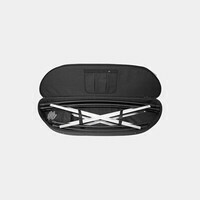 It is adjustable, and can be folded up to a compact 24 x 7" size. 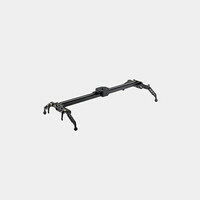 A compact and lightweight jib which is about the same size as most tripods, ideal for traveling (tripod & head not included). 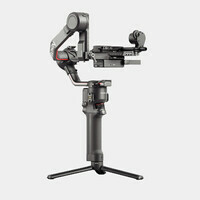 A gimbal-type tripod head that makes the camera/lens' center of gravity and tilt axis of the head be perfectly aligned. 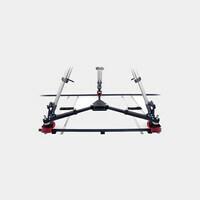 A small lightweight camera slider measuring 26" long and weighing in at less than 10 pounds. Note: Fluid tripod head not included. 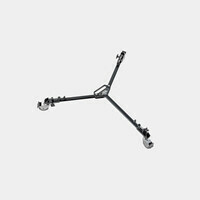 A camera slider measuring 58" long that facilitates ultra-smooth movement for lifting payload up to 45 lb. Fluid tripod head not included. A 13-feet external/10-feet internal diameter kit of curved tracks which forms 1/4 of a 20 foot diameter circle. This kit includes four 3 feet sections for a 12-foot run of straight tracks. 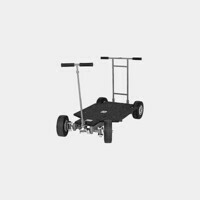 A dolly ideal for a one-person crew or when a complex set up is not needed. Works on straight and curved indie tracks or PVC pipe. A premium quality engraved white acrylic clapper slate for dry erase markers. 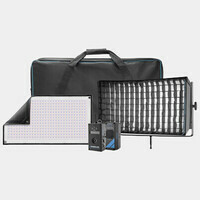 This kit includes a lightweight break-a-part frame, an assortment of light diminishing scrims and a diffusion screen. 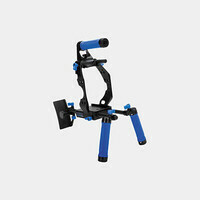 A simple, affordable dolly for capturing dynamic shots with small camcorders or any other type of video-enabled camera, such as a DSLR. 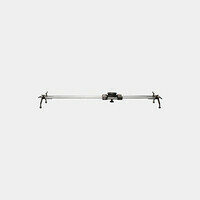 A compact, portable jib featuring a telescopic dual rail arm design that has a maximum reach of 5' (tripod & head not included). Kessler's newest and most compact Pocket Jib designed for shooters that require an ultra-portable jib (tripod & head not included). A unique camera mount that empowers most DSLR cameras with the ability to capture gigapixel (one billion pixels) panoramic images. An HDMI Monitor with a 1280 x 720 resolution that is capable of recording up to 1080 30p/60i resolution via HDMI to an available HDD or SSD. An SDI Monitor with a 1280x720 resolution that is capable of recording up to 1080 30p/60i resolution via HD-SDI to an available HDD or SSD. 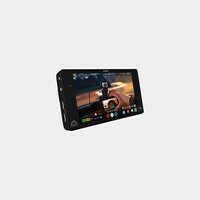 The Atomos Shogun 4K HDMI/12G-SDI Recorder and 7" Monitor combines a color-calibrated 1920x1200 resolution display with 4K video recording. A Video Recorder that can capture uncompressed 10-bit HD and SD video as QuickTime files from any SDI- or HDMI-enabled camcorder.